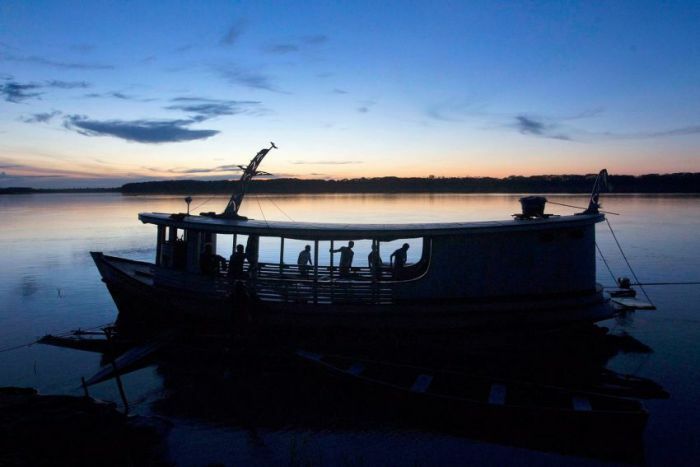 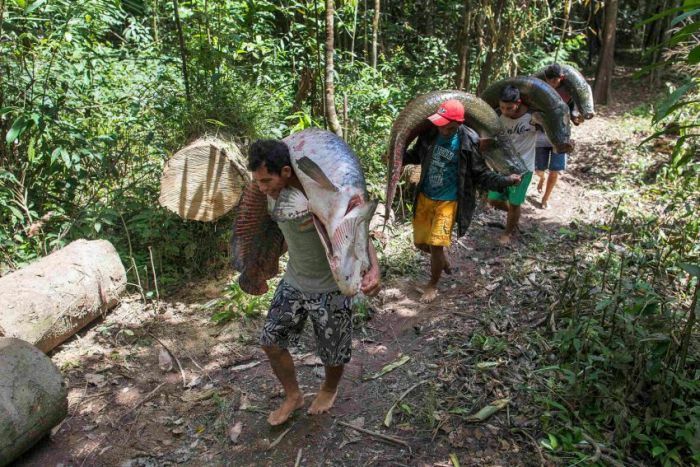 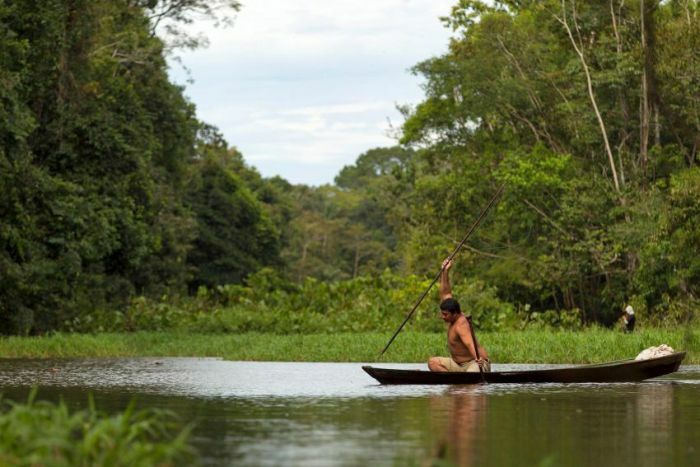 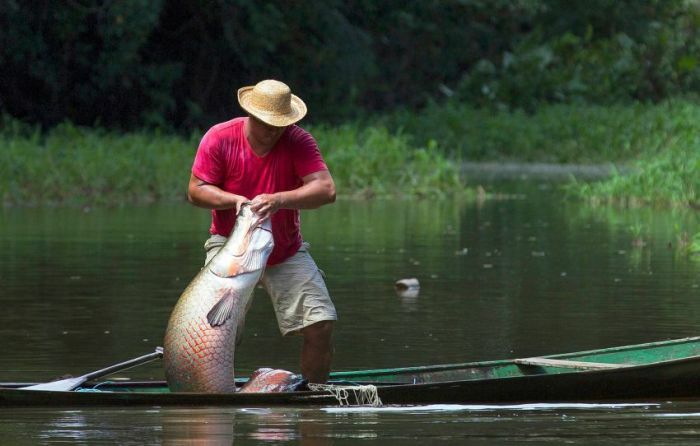 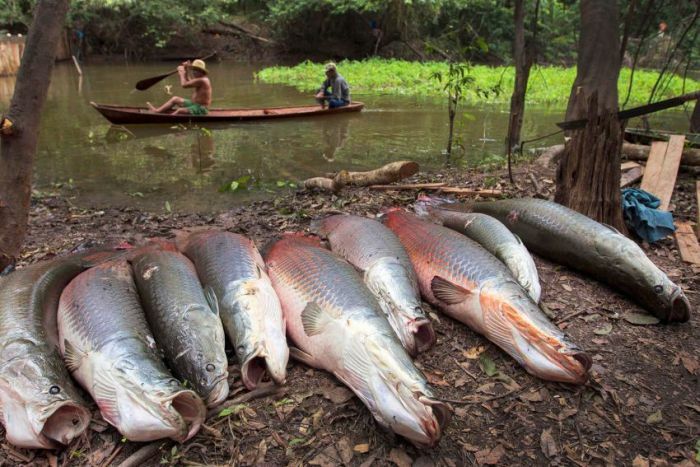 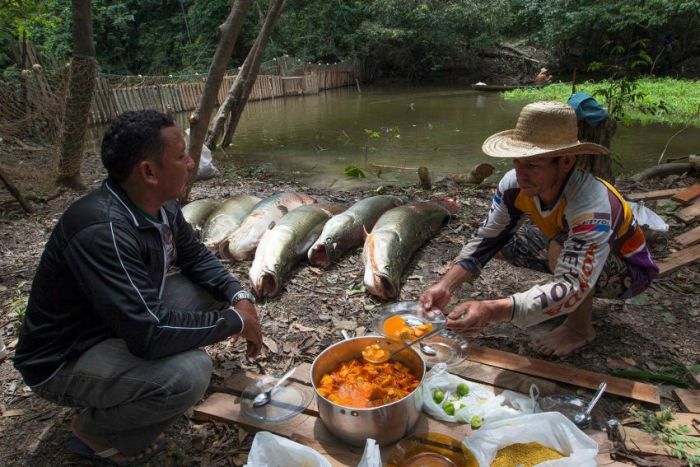 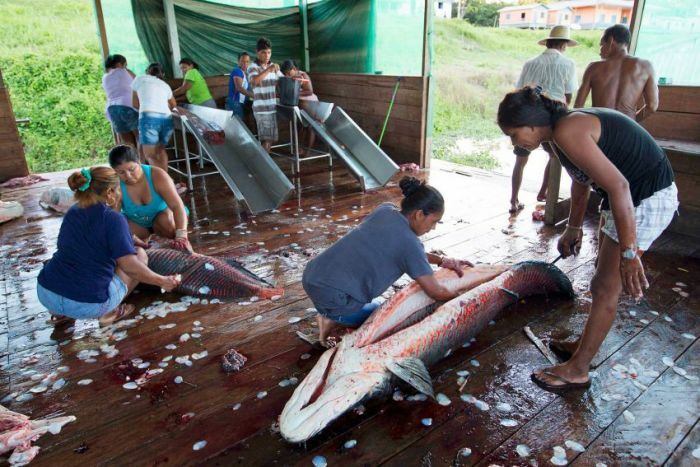 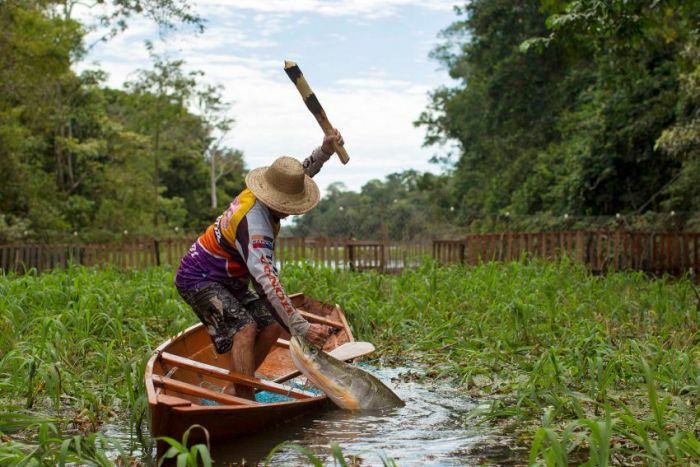 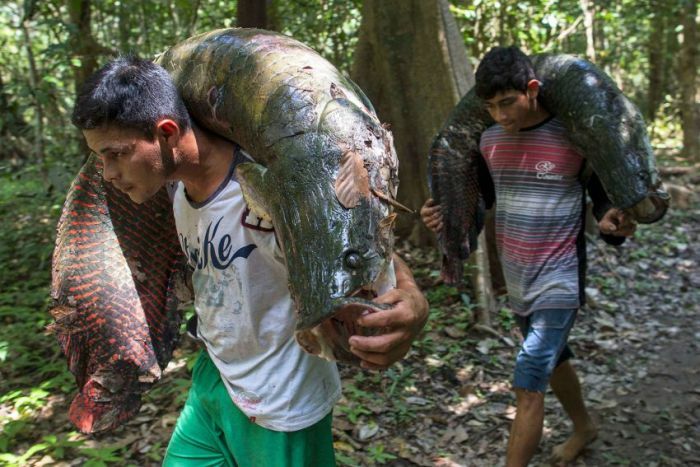 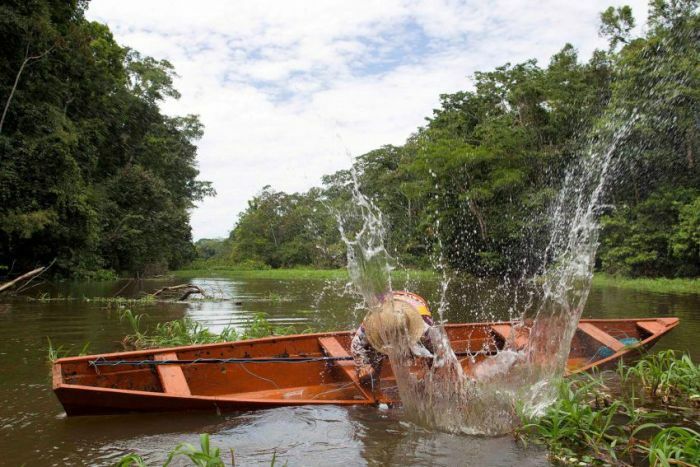 Arapaima fishing in Brazil. 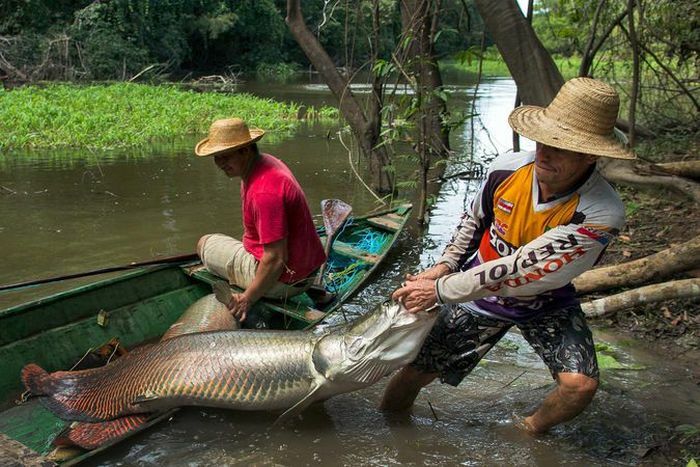 The arapaima is a genus of bonytongue native to the Amazon River in Brazil. 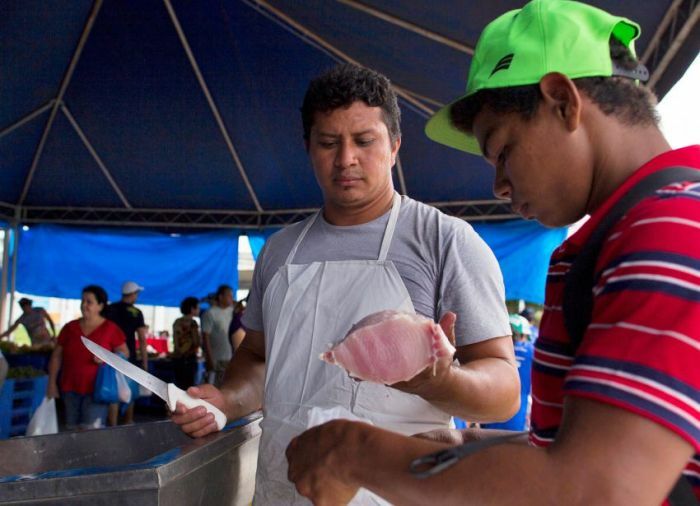 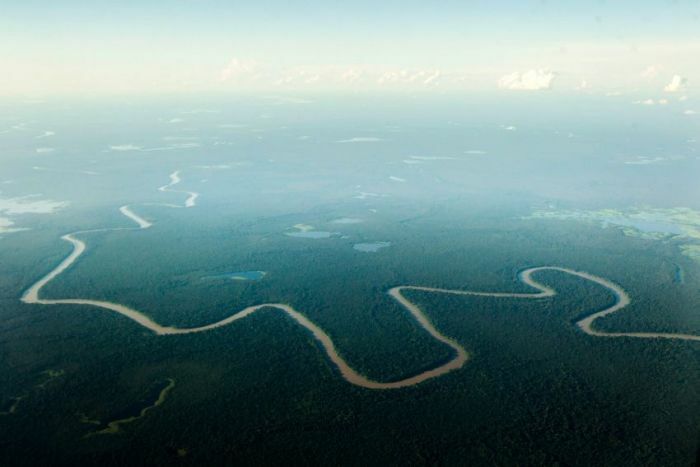 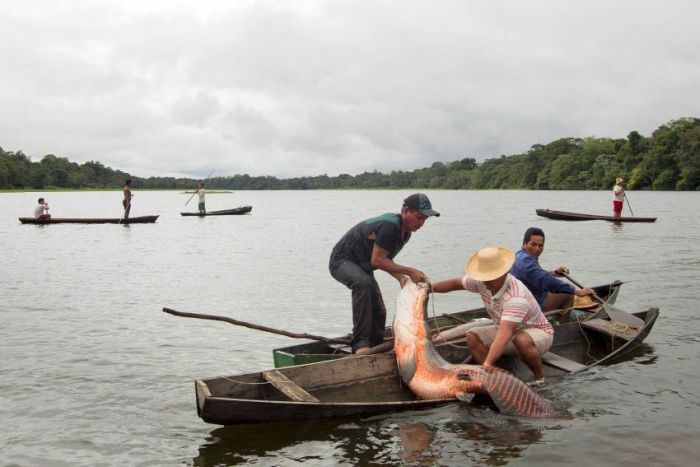 They are the largest freshwater fish of South America. 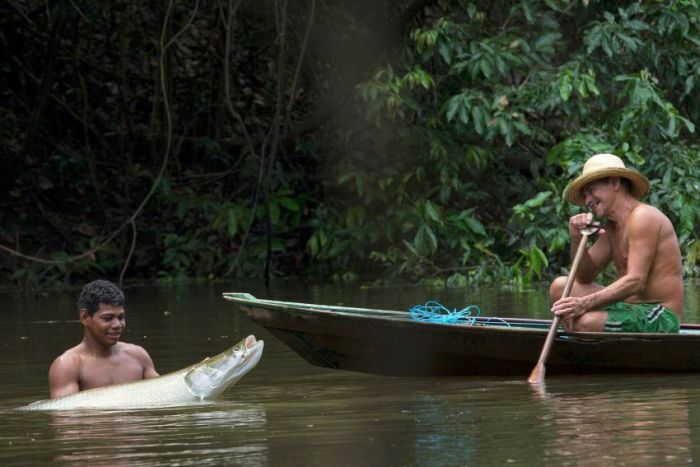 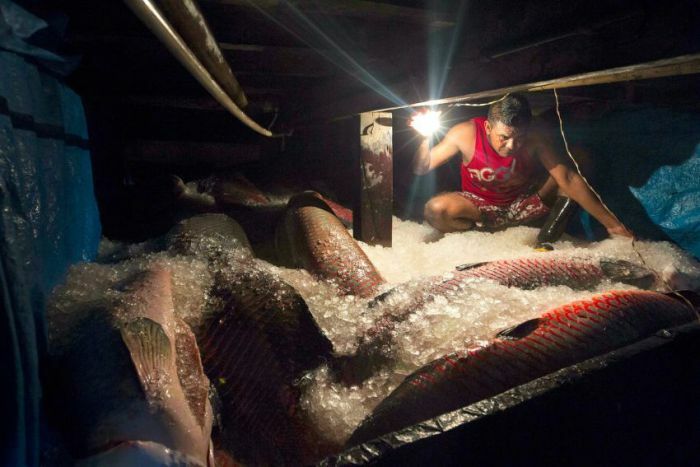 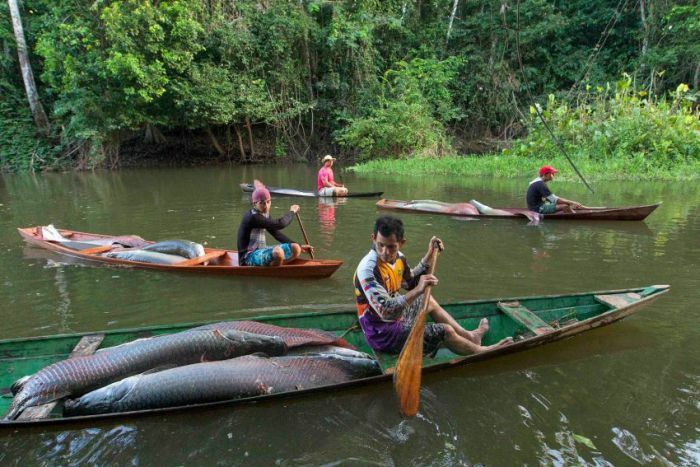 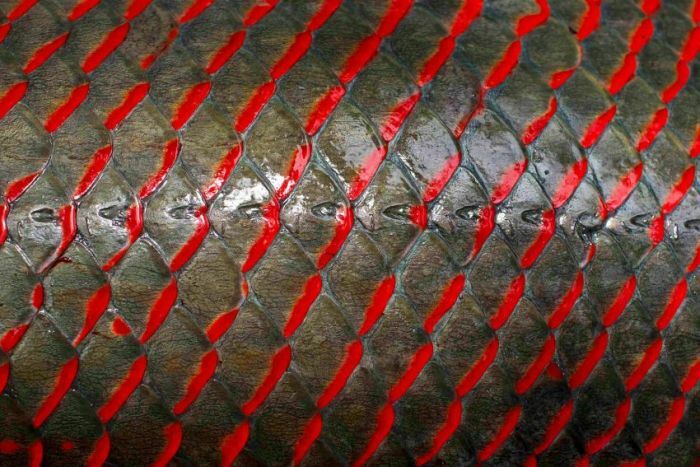 The arapaima, pirarucu, or paiche (Arapaima) is a genus of bonytongue native to the Amazon River in Brazil.